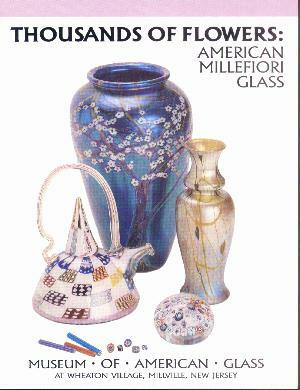 This is an exhibition catalog for a special exhibition of millefiori objects at the Museum of American Glass (Wheaton Village, Millville, New Jersey) from April 4 to 25, 1992. 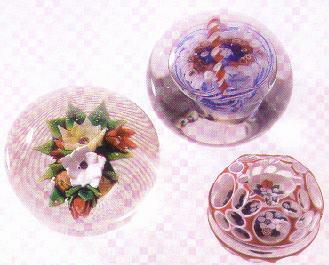 104 objects were included in the exhibit, including millefiori canes, paperweights, Tiffany millefiori glass, and contemporary millefiori objects. 15 pages. 20 figures, all but a few in color. Most figures show more than one object. Click on the picture to see a color photo from the book.